Recreate the spirit of yuletides past at our free Victorian Christmas event. 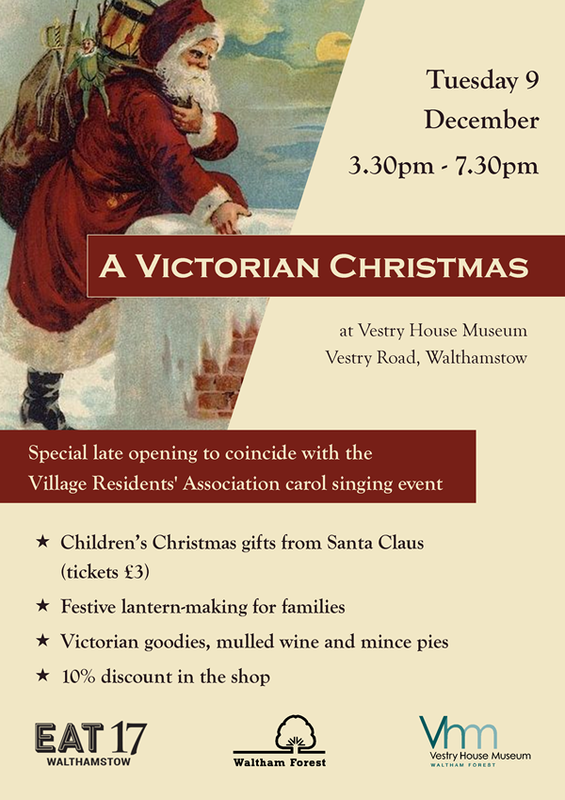 Held to coincide with the Walthamstow Village Residents’ Association Christmas carol evening, the event will feature traditional Victorian activities, with free mulled wine and mince pies supplied by local restaurant and food brand EAT 17. Families will get the chance to make festive lanterns and young visitors can collect an early Christmas present from Santa (£3), while grown-ups will receive a 10% discount in our new shop.